With one foot in the contemporary dance world and the other still in the streets, Jahra’s evolving technique classes draw on various dance, sound and ancestral influences within an open contemporary dance class structure to provide stimulating hybrid movement for participants to find new movement pathways, and to have fun whilst doing it. Jahra ‘Rager’ Wasasala is of Fijian/NZ Euro origin and is a multi-disciplinary artist utilising the forms of ancestral attunement through performance activation, contemporary dance technique, and poetry. Jahra trained at Unitec and graduated with her Bachelor of Performing and Screen Arts majoring in Contemporary Dance in 2013. Jahra then went on to refine her training in her personal performance practice at The Banff Centre’s Indigenous Dance Residency in Calgary, Canada in 2014. As a contemporary dancer Jahra has performed for choreographers and creatives such as Sarah Foster-Sproull, MAU Dance Company and Thomas Fonua, alongside the company of Australian Dance Theatre. 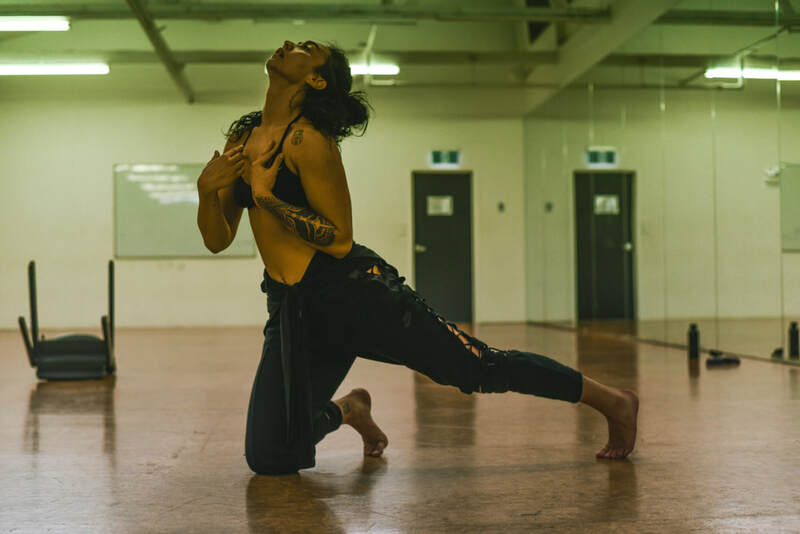 Jahra has toured both nationally in Aotearoa, New Zealand and internationally to Hawai’i, Canada, Australia, New York, Guahån/Guam and Germany with her own creative works, including the award-winning ‘MOTHER/JAW’ in collaboration with Grace Woollett, her collaborative dance work ‘PASSING’ in collaboration with Amrita Hepi, and her dance theatre solo work ‘bloo/d/runk’. In 2016, ’bloo/d/runk’ was featured at the 12th International Festival of the Pacific Arts in Guahån, in New Zealand’s first Pacific Dance Festival and in New Zealand’s National Tempo Dance Festival. ‘bloo/d/runk’ was also commissioned for performance by the Sophiensaele Theater in Berlin, Germany for their ‘Witch Dance Festival’. From 2015 - 2016 Jahra served as a founding member of the Youth Advisory Board and a temporary Youth Representative on the Pacific Advisory Board for the Auckland War Memorial Museum. During this time Jahra has been a recurring mentor for the Rising Voices Poetry Slam event which mentors young poets and for Ia Manuia, a contemporary dance community class initiative lead by Thomas Fonua. In 2016, Jahra was awarded the NZ Prime Minister’s Pacific Youth Award for Arts and Creativity. In 2017, an excerpt of Jahra’s solo work ‘bloo/d/runk’ was performed at Ora Gallery in New York. Jahra was also invited by the Metropolitan Museum of Art and the American Museum of Natural History in New York to participate in research in preparation for a future performance work. Jahra then went on to perform a multi-disciplinary collaborative work called ‘She Who Dies To Live’ for Washington D.C’s Smithsonian Museum’s international art project ‘Ae Kai, which was held in Honolulu, Hawai’i. In 2017, Jahra will be performing in Sarah Foster-Sproull’s ‘Orchids’ as well as performing her own solo work ‘the world, with your wound in it’, as a part of Tempo Dance Festival.